Jersey’s first ever survey of religion or belief has revealed that non-religious islanders outnumbers both Catholics and Anglicans. Photo: Wikimedia Foundation. The Bailiwick of Jersey has released the results of its 2015 Annual Social Survey, which asked a question on religion for the first time and found that non-religious people in Jersey account for 39% of the population – making them one of the island’s most significant social groupings. Asked ‘Do you regard yourself as having a religion?’, only slightly over half the population answered ‘Yes’ (54%), while 7% said they were not sure. These statistics shed light on the reality of religion or belief in Jersey – traditionally viewed as being a deeply religious island – and reveal for the first time the full extent of the country’s significant non-religious population, outnumbering both Catholics and Anglicans. Among young people, the non-religious represent an outright majority: 52% of Jersey people aged 16-34 identity as non-religious. The unexpected results lend weight to calls from islanders for the Jersey Government to give legal recognition to humanist marriages (following the example of Scotland, Canada, and New Zealand) and to ensure that schools teach about non-religious approaches to life as well as religions. British Humanist Association Chief Executive Andrew Copson commented, ‘These statistics dispel the presumption that the population is mainly or predominantly Christian. The results show that while Catholics and Anglicans together represent around half of Jersey’s population, the non-religious represent a community that is equally significant and equally deserving of recognition. For more information or comment, please contact BHA Communications Manager Liam Whitton at liam@humanism.org.uk. 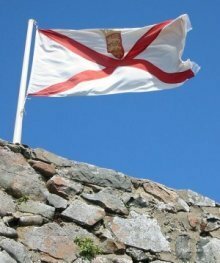 An autonomous Crown dependency belonging to the British Crown, Jersey is independent of the United Kingdom, but shares in common with England an established church: the Church of England. These results paint a picture of Jersey represented on the whole by two large communities: Christian and non-religious. 52% of islanders identify as Christian, 22% of islanders identify as Catholic, and 23% as Anglican. Outside Christians, handfuls of Jersey people reported Buddhist, Hindu, Jewish, Muslim, or Sikh identities. The British Humanist Association works throughout the UK and the Channel Islands on behalf of non-religious people who seek to live ethically and fulfilling lives on the basis of reason and humanity. It promotes a secular state and equal treatment in law and policy of everyone, regardless of religion of belief.